Hanukkah is a Jewish festival which lasts for eight days. Much like most of the Americans, you too may celebrate this holiday by lighting menorah, eating some lip-smacking fried stuff, and spinning the dreidel to win some wonderful presents. But like always, there is much more to this festival than enjoying good food and candles. There is so much that you don’t really know. 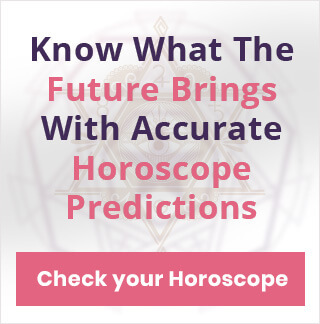 Get your Zodiac sign’s 2019 Yearly Horoscope now! For starters, despite being a popular global festival, Hanukkah doesn’t follow the Gregorian calendar(one that we refer to for each event). It is celebrated according to the Hebrew calendar. That’s why the Hanukkah holidays are observed at different days every year. Well, if you want to know more about such interesting facts and trivia, then read ahead as we bring you five surprising facts about this Jewish festival that we bet you didn’t know. As per tradition, Jews include food in their festivities to mark the recognition of Judith who used a salty and cheesy treat to honor the victory for Maccabees. This gradually developed into a tradition and people started preparing the same delicacy, but unfortunately couldn't replicate it. So instead of making something out of cheese and salt, people began frying stuff because it was relatively easier and you could dress the stuff in cheese and salt later. It got picked up pretty quickly across almost every part of the world. And as we know today, Hanukkah is as much about eating fried chicken, vegetables, and meatballs, as lighting the menorah. More money, or a change in career? Find out by reading your daily career horoscope! Thanksgiving and Hanukkah are probably two of the most beloved festivals after Christmas and their close proximity is always exciting for people. But do you know, these two events can actually coincide with each other. Yes, the convergence of Thanksgiving and Hannukah is indeed a possibility. While many believe that this co-occurrence has one in a million shot, millennials may witness one such impossible day in their lifetime. It is speculated by scientists and statisticians from around the world that on 27 November 2070, Hanukkah and Thanksgiving will be on the same day. So in exactly 52 years, you’ll be able to witness something extraordinary. When it comes to presents, there is no such mention in the history books of it being regarded as a Hanukkah tradition. But since the modern industrialization came to force and Christmas became popular, the concept of exchanging gifts came into existence. Jews found it easy to identify with the custom of gift giving and accepted the concept. So now like Christmas, Hanukkah too is incomplete without people offering presents to each other. Although there is an interesting piece of trivia. Jews actually have an entire day dedicated to gifts and presents, called Purim which is another holiday celebrated to commemorate Esther. A woman who rescued all the Jews living in Persia. Get a Deep Detailed Tarot Life Report - 70% OFF! Every holiday, festival, commercial event, or social event has its roots in the history books. Something magnificent had to have happened thousands of years ago that made people so excited that they decided to celebrate it with feast and festivities. Be it Thanksgiving, Christmas, or anything, each day has a special mention in the sacred religious texts. But do you know that something as popular as Hanukkah has no formal mention in the Hebrew Bible? In fact, it’s the only Jewish festival that hasn’t been broached in the good book. Well, it may be so because Hanukkah commemorates a war victory, not a religiously significant event. 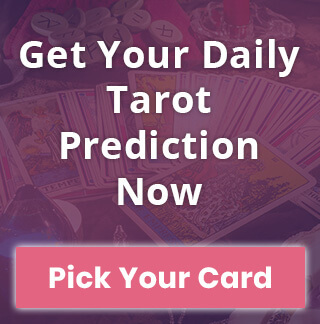 Get your FREE Love Tarot Reading Here! ‘Gelt’ which is Yiddish for coins is a significant part of Hanukkah tradition. And that reminds us that money has always been part of Hanukkah for centuries, but no one really knows how a coin-shaped milk chocolate became so famous anyway. You’d be surprised to know that many historians and well-renowned Rabbi have actually shown their concern as to why these delightful little munchings became a part of Hanukkah tradition. While many believe it all originated in the 1920s in the states, experts say it was started by an Israel-based chocolate company in the late 1890s. 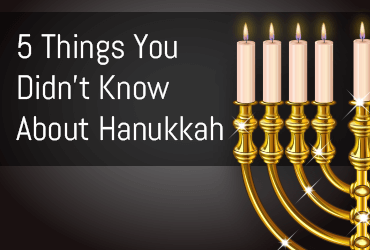 Hope you enjoyed reading these surprising and interesting facts about Hannukah. Do share your thoughts and comment with us in the section below.